Anyone who travels by air is very familiar with airport security checkpoints. But are they effective against new threats? The head of the Transportation Security Administration (TSA) says that aviation security needs to shift away from checkpoints and toward more public areas of airports to adapt after recent attacks. Pekoske was referring to such public areas as baggage collection and check-in areas where people are not screened—areas that were targeted by terrorist attacks in the Brussels airport in March of 2016. 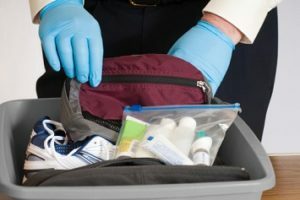 Additional training may also be a good investment for the TSA; as we reported late last year, the agency is still not finding guns and bomb parts during training.